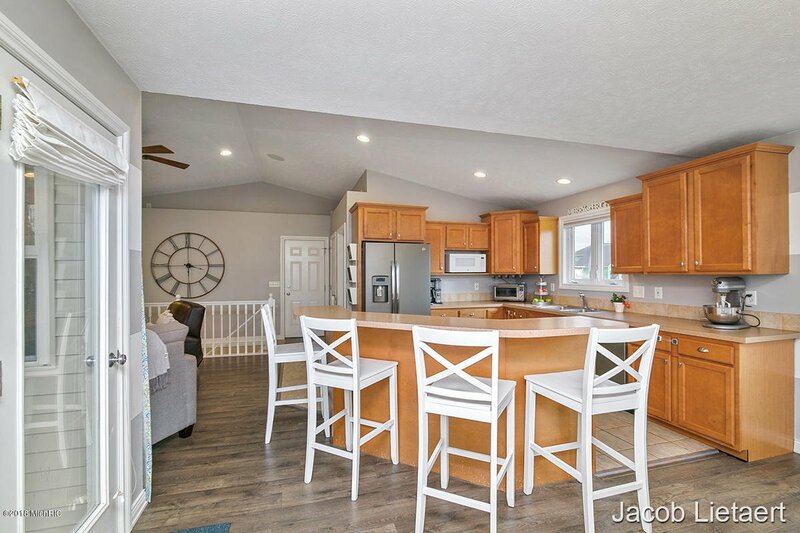 This is the HOME you have been waiting for, packed w/ custom upgrades normally not found at this price point! 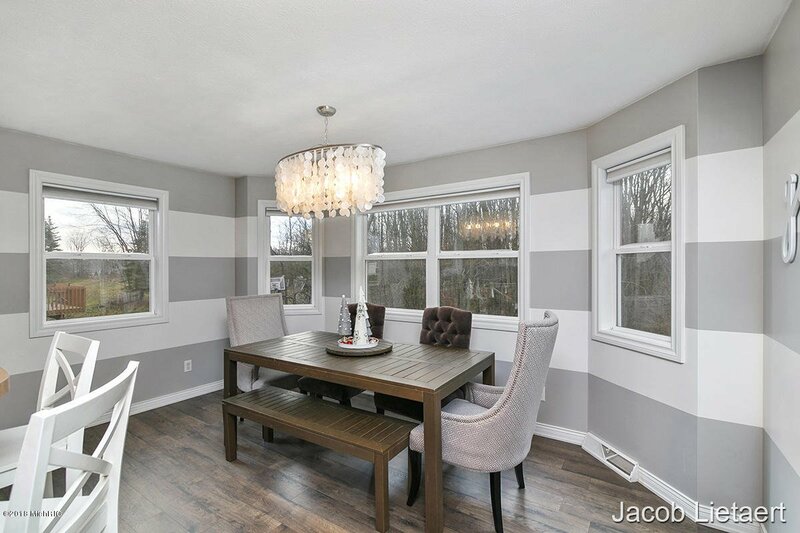 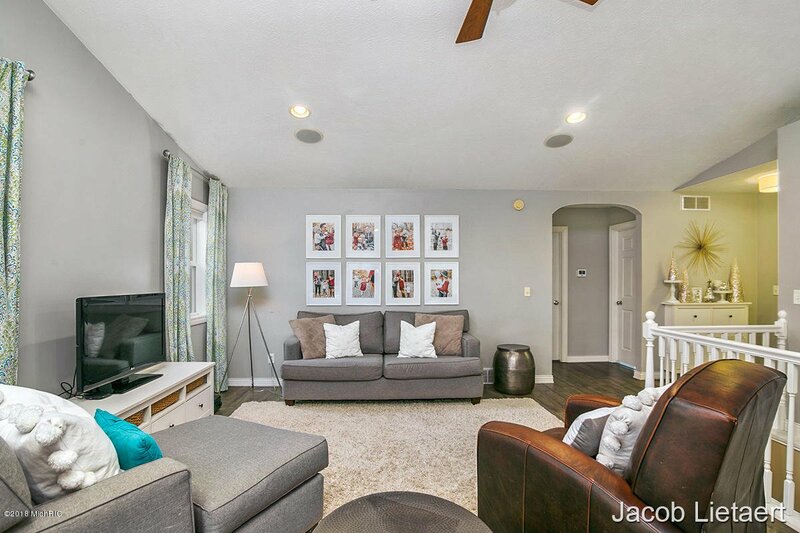 The front foyer leads to an open concept great room w/ vaulted ceiling, spacious kitchen featuring an island w/ bar seating & new GE Slate appliances & a dining area all completed w/ tile & luxury plank flooring! 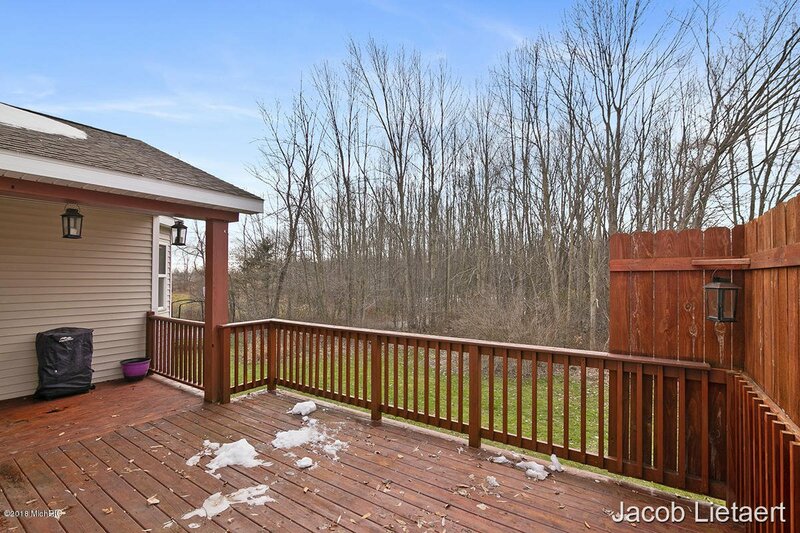 Off of the dining room is a large partially covered deck overlooking the woods w/ built in storage shed. 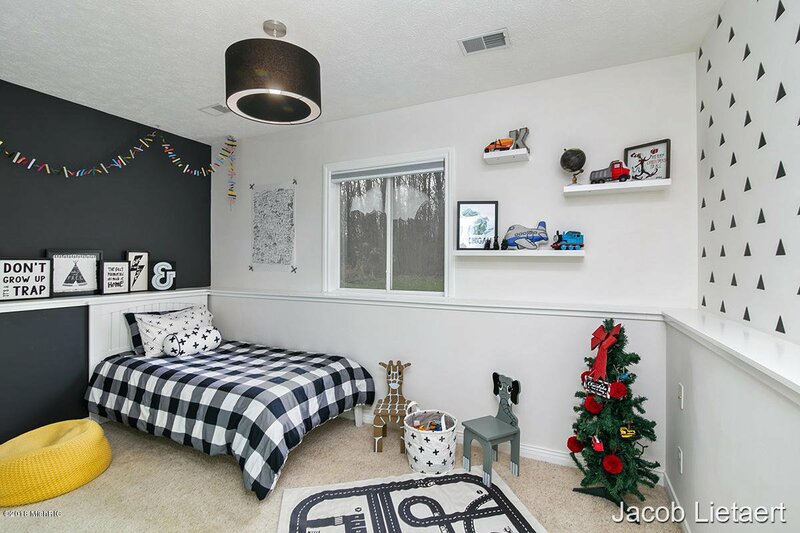 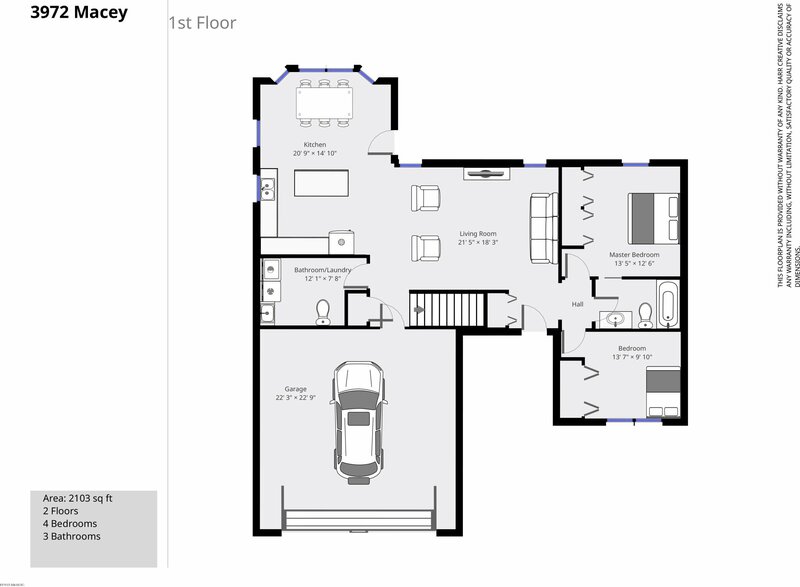 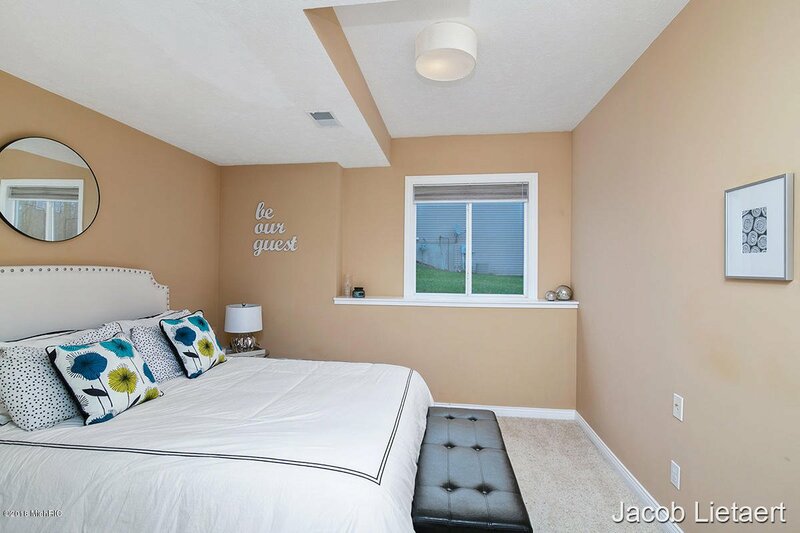 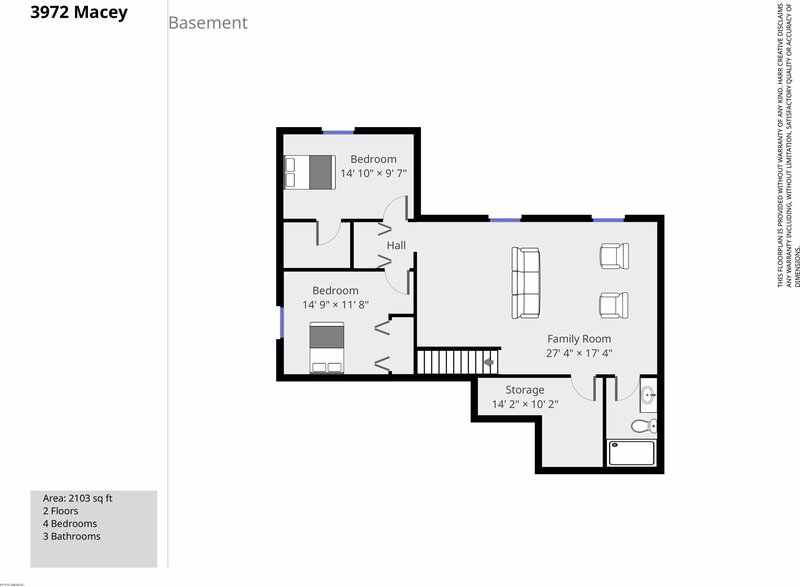 Master bedroom features his/hers closets w/ private door to a full bath. 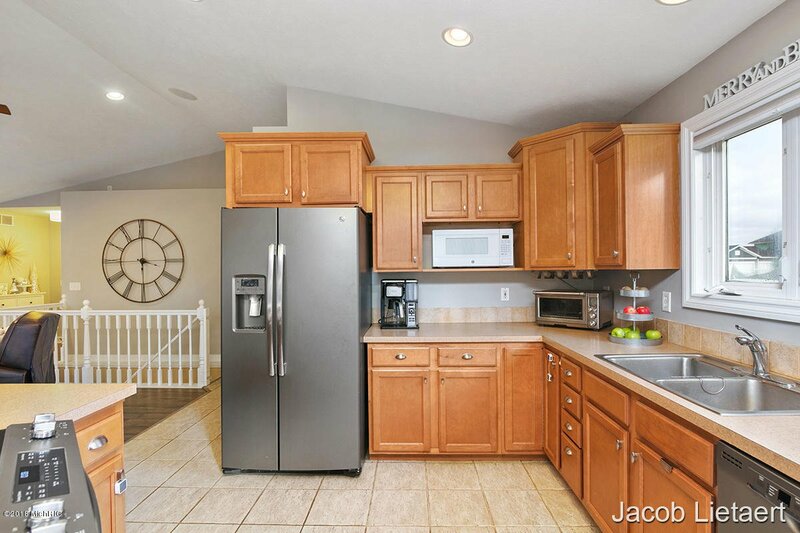 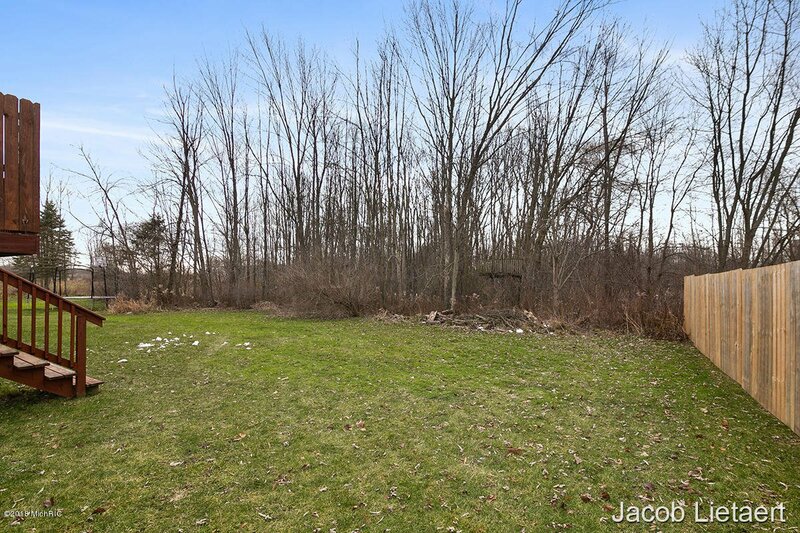 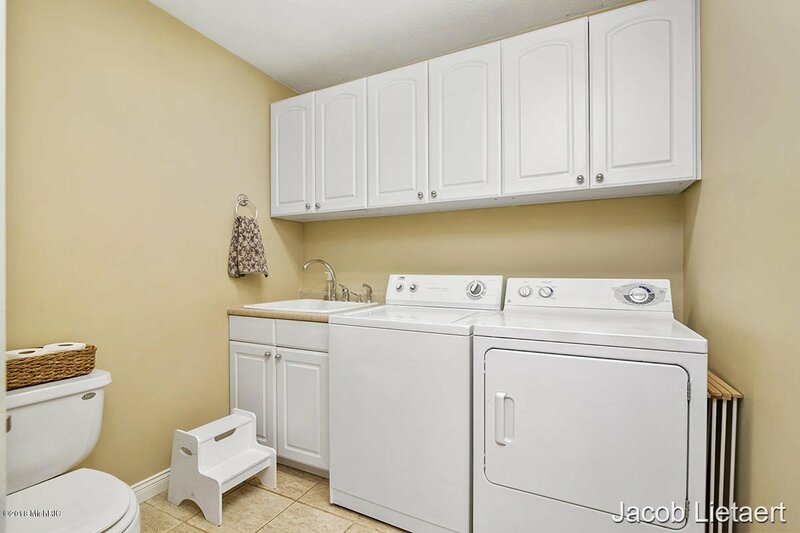 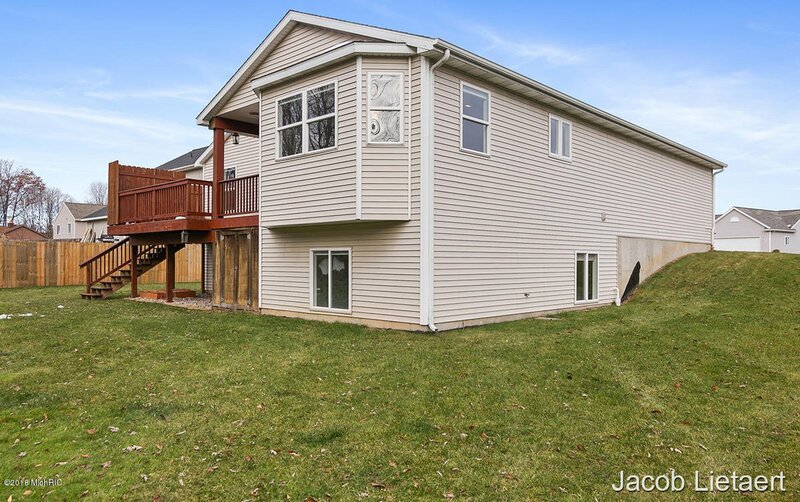 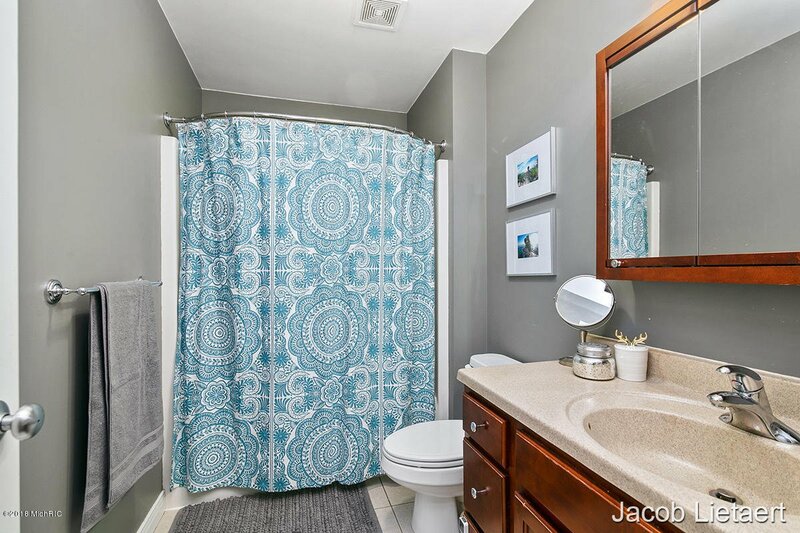 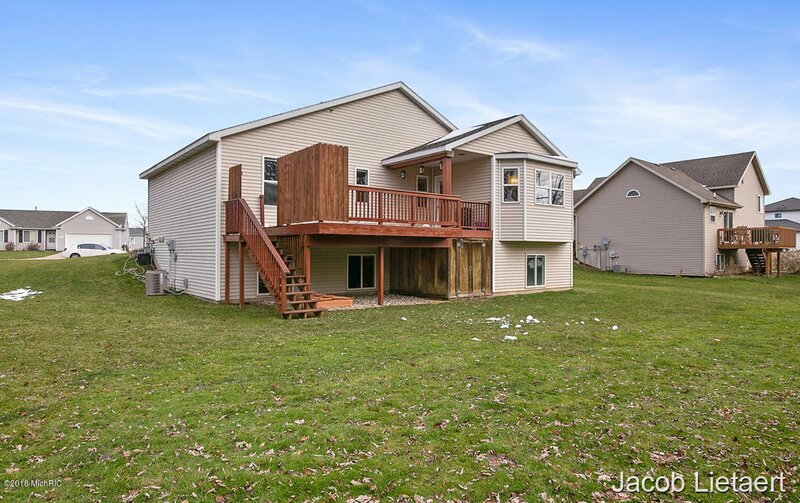 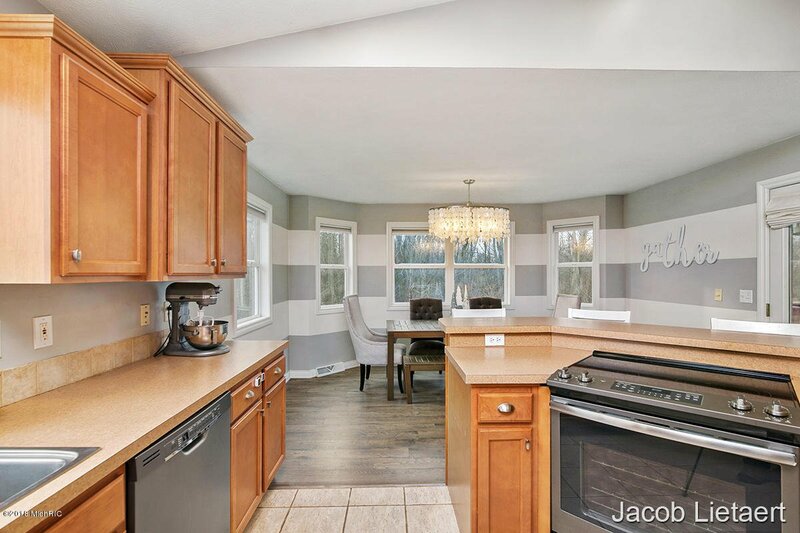 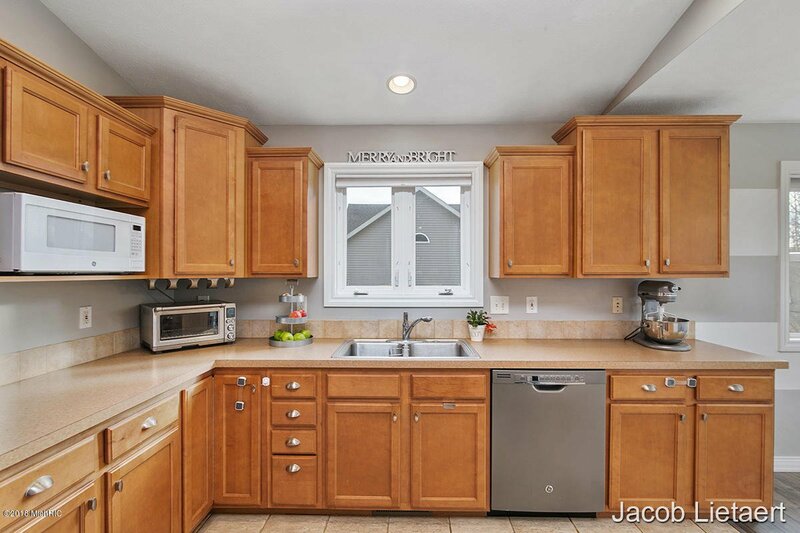 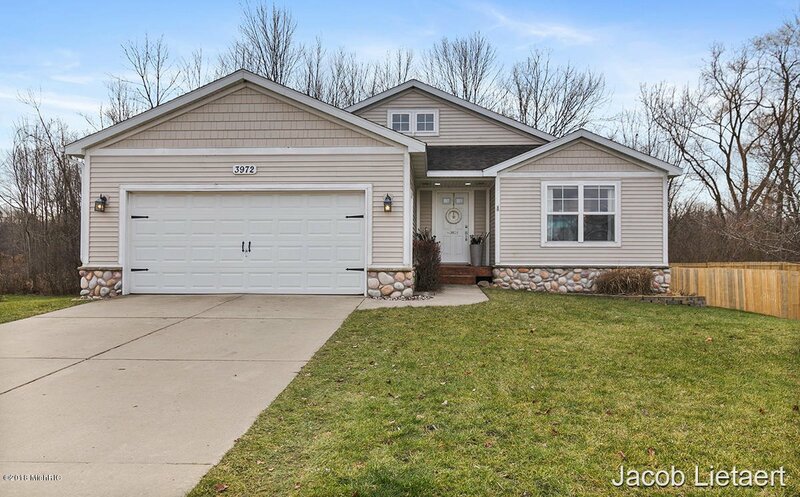 Completing the first floor you have a 2nd bedroom & large laundry room/half bath w/ wash tub! 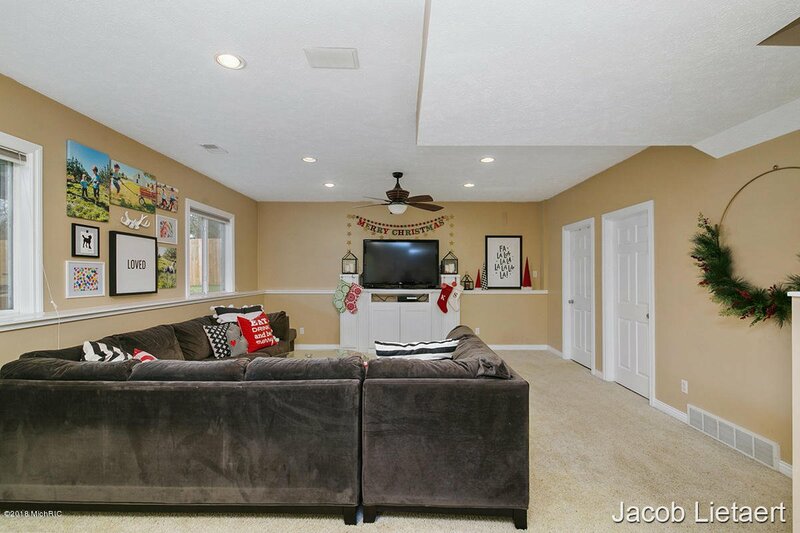 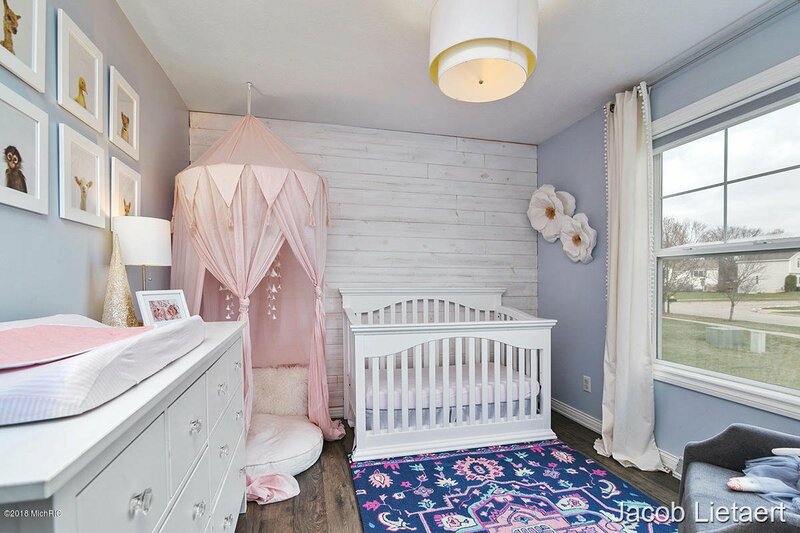 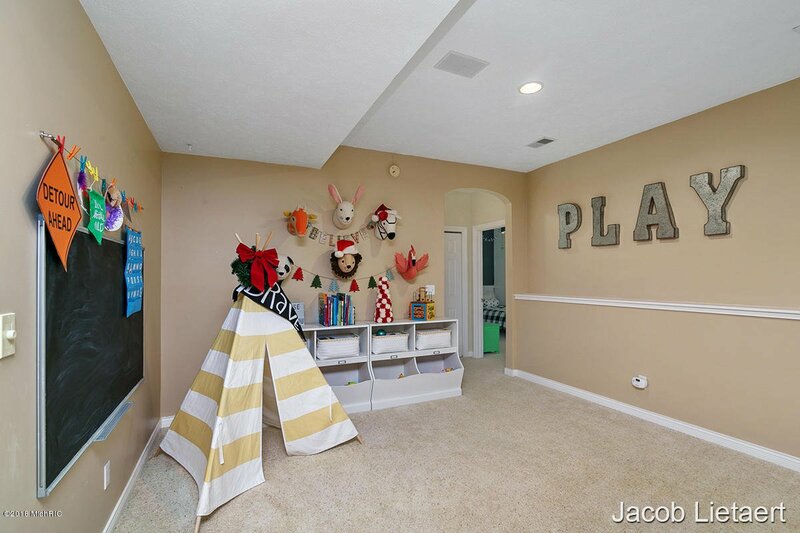 The daylight basement features 10ft ceilings, large family room w/ built in media cabinets, full bath, & two bedrooms both w/ walk-in closets! 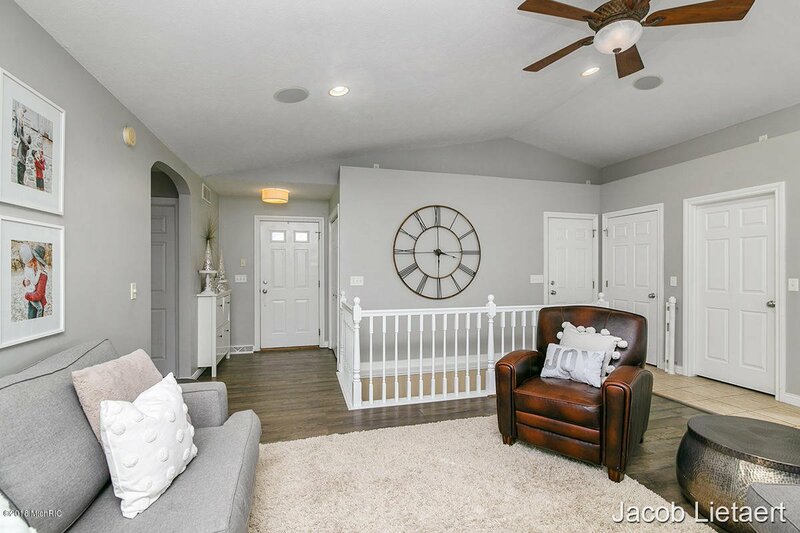 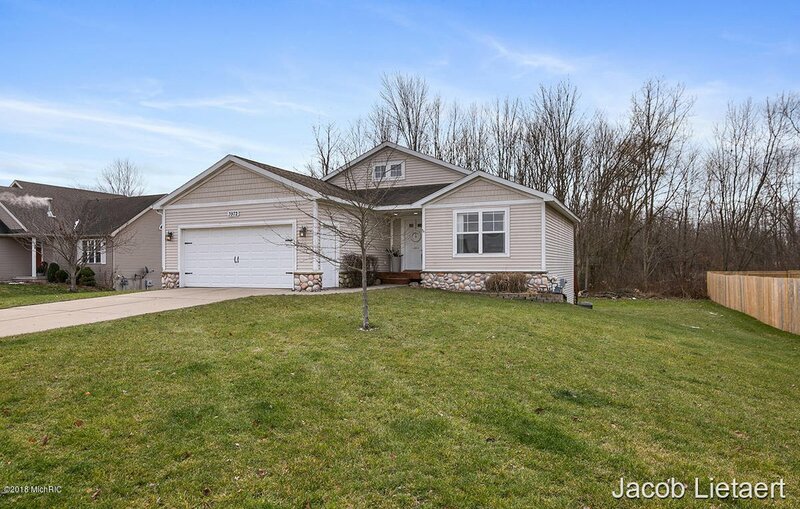 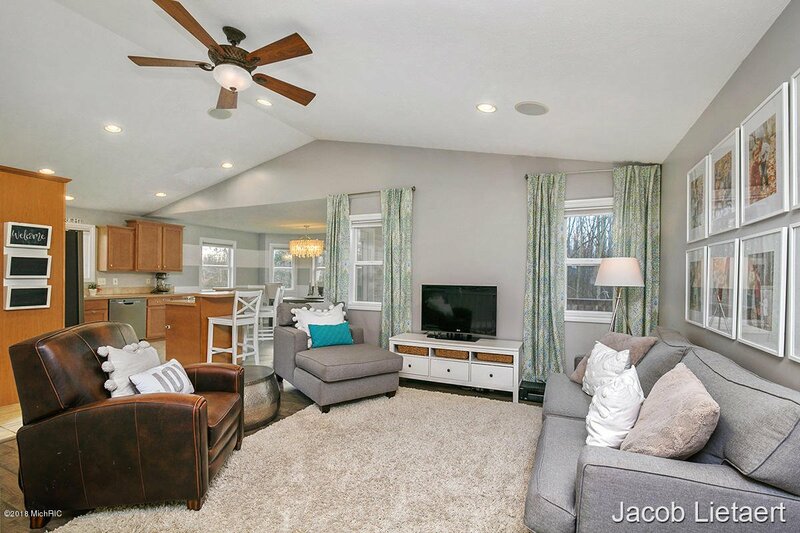 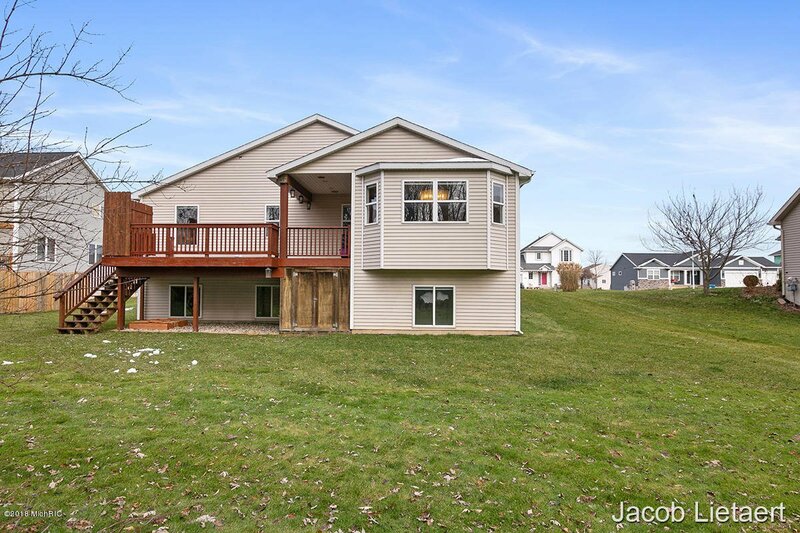 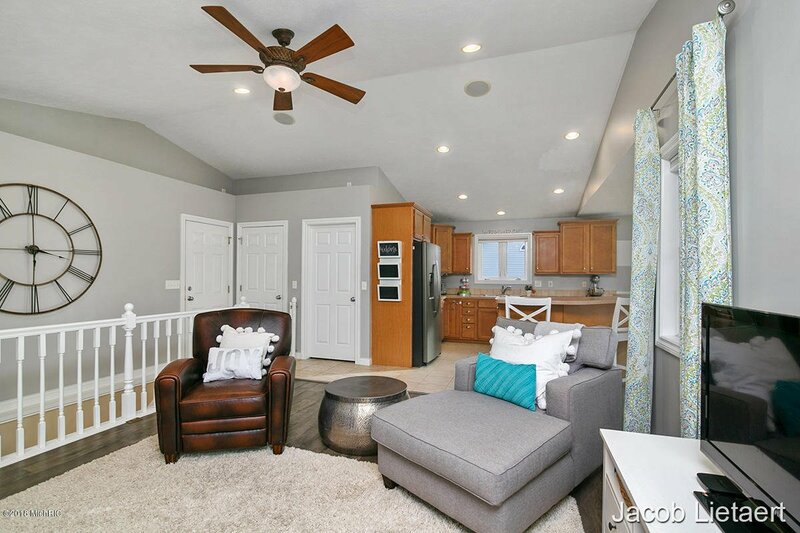 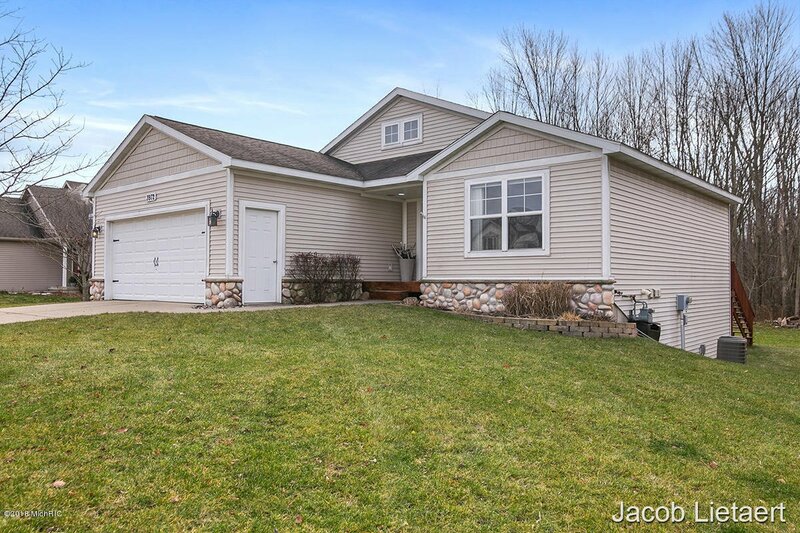 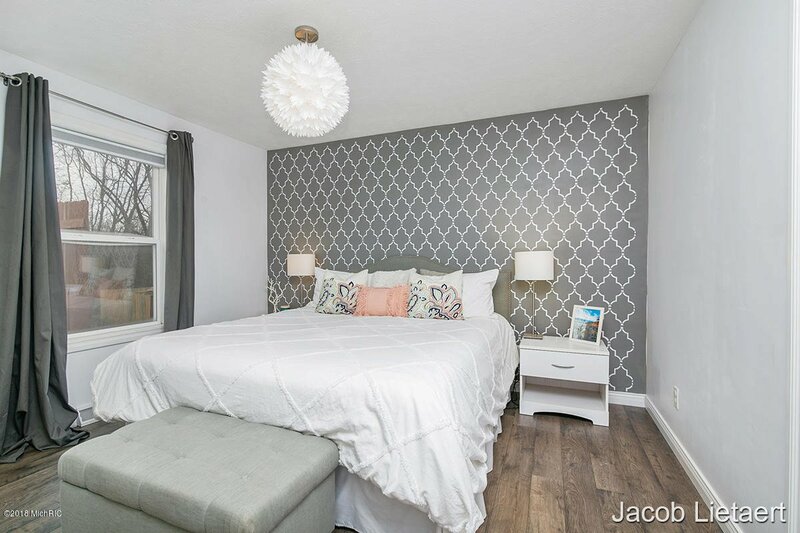 To complete the home you have a new Bryant furnace & A/C indoor/outdoor Audio System, hot/cold water/drain in garage, access to Millennium Park bike path, & close proximity to schools/shopping! 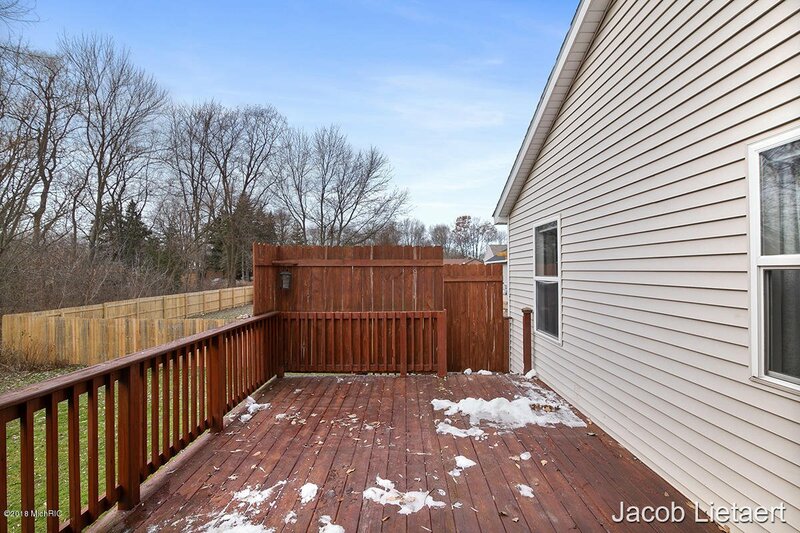 All offers due by Wednesday, December 12th at 12:00 noon. 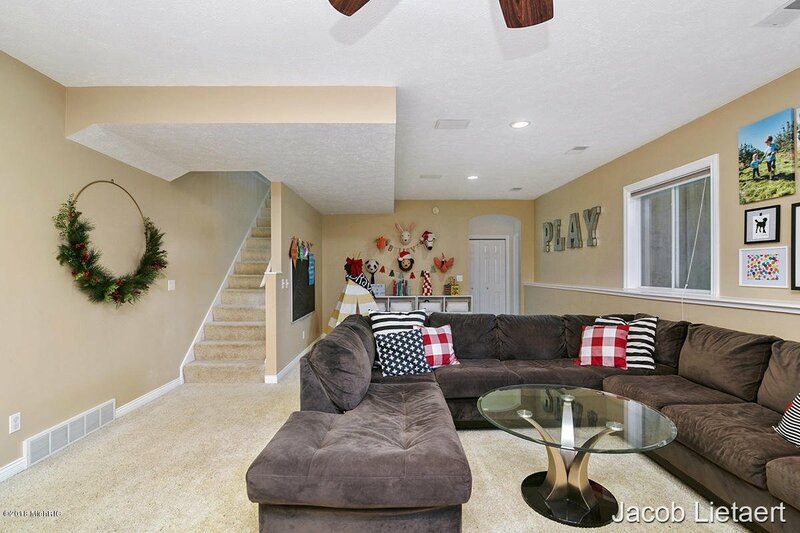 Courtesy of Jacob Lietaert with Keller Williams GR North. 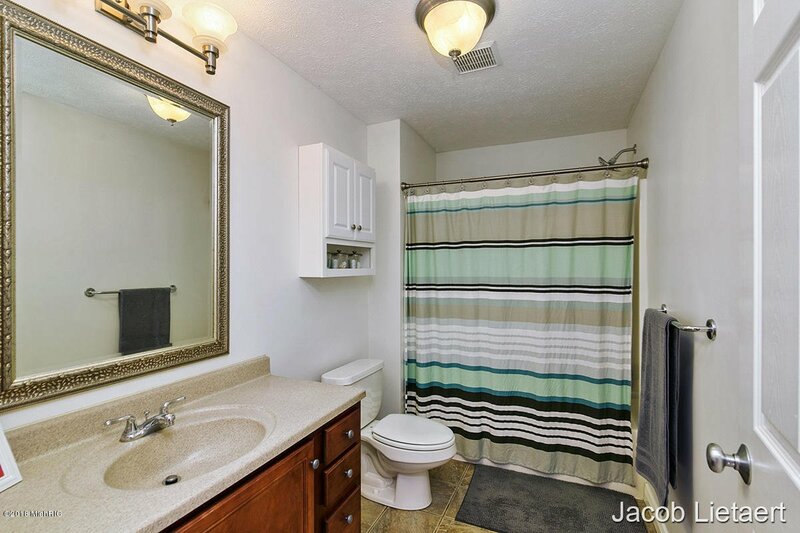 Selling Agent: Alyssa Zokoe Selling Office: Five Star Real Estate (Main).